In this episode of Living Natural Today: Out with Toxins, In with Your Health, Teresa and Stan Salot discussed toxins that are lurking in-and-around our home and progress that is being made on a new initiative called the “Hazardous Substance Free Mark.” Teresa also discussed with Angelique the challenges of living with Multiple Chemical Sensitivity (MCS) and tips and advice for “canaries” – or anyone for that matter – who is building a new house or embarking on a major (or maybe, not-so-major) home renovation. 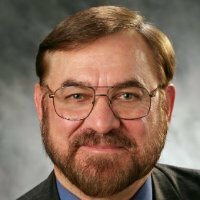 Stan Salot is a leading expert in business and quality process management. As the President and CEO of the ECC Corporation, he represents the interests of the U.S. industry in the International Electro-Technical Commission Quality Assessment System for Electronic Components (IECQ). Mr. Salot is a member of several distinctive industry bodies, including the IECQ Chairman’s Advisory Group, the U. S. Technical Advisory Group for Environmental Management Standards, the U.S. SAE Working Groups for Counterfeit Mitigation Standards and the American National Standards Institute. Moreover, he was the chairman of the international IECQ Working Group 5 authoring the international certification scheme. This program is used by electrical, mechanical, toy and other consumer goods manufacturers to demonstrate their compliance with hazardous substance process management (HSPM). Mr. Salot is also the host of the VoiceAmerica Show called: People to People – Working Together for Your Safety. Teresa: What drove you down this path of passion for toxins? Stan: I developed a passion for toxins – in part because of the way different hazardous substances such as mercury, cadmium – and lead, in particular, affected the health of members of my family with Autism/Asbergers. Teresa: What are the different areas of our lives in which toxins are affecting us on a daily basis? Stan: The key to all of this is “technology keeps changing.” We continue to expand what we do, what we can make. As a result, there are a lot of different ingredients in the manufacturing process including toxic substances such as flame retardants, lead, mercury and cadmium, for example. As we, as consumers, bring these products home – and live with them every day – we have learned how they can affect us as humans. 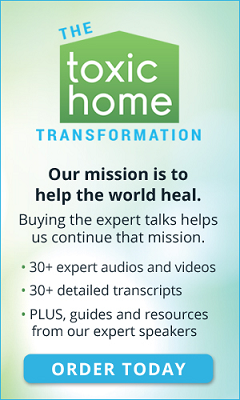 Teresa: What are some examples of toxins that we are exposed to consistently around the home? 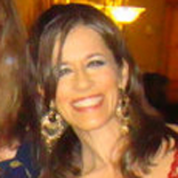 Teresa: What are examples of products where these toxins may reside? Stan: We are not doing an effective job testing the effects of the chemicals all the way through the manufacturing lifecycle. Teresa: Tell the listeners about your work with the Hazardous Substance Free Mark. Stan: In order to ensure manufacturers are building parts and products that are safe, a system is needed that validates each step of the process. It is not enough to test “after the fact.” Over the last several years, a hazardous substance process management standard has been put in place. Manufacturers can undergo assessment to validate that they are doing what they say they do. Certification comes from that. The Hazardous Substance Free Mark is simply a mark that manufacturers can put on their packaging that gives more confidence to consumers. As a buyer, you can look for products you’re buying. It contains a database of what’s actually in the products as it relates to chemicals and materials – much like a label showing ingredients on food. The end result is: everything manufactured should be labeled based on a process of ensuring compliance. Angelique has extensive personal experience with low-VOC and chemical-free building, remodeling and cleaning. She has several medical conditions that are triggered by chemical pollutants, and her most important line of defense is avoidance. Every product and procedure must be researched and tested, and workers have to be supervised very closely. With each project Angelique discovers more steps that have to be taken to ensure an outcome that is safe for someone with chemical sensitivity. 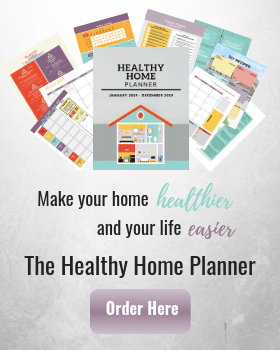 She shares her experiences with the members of her Facebook discussion group, Canary Chat, and the readers of her blog, Green Dreamhome. Angelique has been married for twenty-five years to a fantastically patient and compassionate man, who is devoted to athletics and healthy living. They have a daughter who is in college. Some of her other interests include horseback riding, organic gardening and cooking. Teresa: How long have you had MCS? Angelique: I have been severely chemically sensitive for 15 years. I began to develop progressively worse chemical sensitivity for 10 years prior to that. Teresa: What are the types of questions you ask retailers before making a purchase? Angelique: I don’t ask the retailers. I always get the information directly from the Manufacturer (MSDS sheets). It is important to note, however, that the only things showing up on MSDS sheets are things causing hazards for the installer at time of installation. Some of the most dangerous things are not going to show up in the MSDS. If you are unsure, hire an advisor/consultant. Teresa: What advice would you give prior to purchasing product used in a remodel – such as cork flooring? 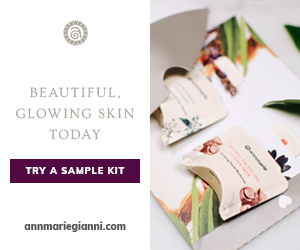 Angelique: Buy large enough samples – and live with it for a couple of days. With someone with chemical sensitivities, it takes longer to plan any project – because you need larger testing period. You may also want to go on discussion forums (plumbing, HVAC, for example) to better understand what the general public is saying about the product or installation of the product. Teresa: What are the precautions you have to take before workmen begin working on a project in your home? Angelique: Make a complete isolation plan (including foot traffic). Protect soft surfaces such as carpeting. Keep toxins out of HVAC system. Don’t forget to test materials used for protections/barriers, such as plastic, vapor barriers and tape.